KCS – Keratoconjunctivitis Sicca, or “dry eye”, is very common in many small dog breeds and can cause severe trauma to your pet’s eyes if not treated and monitored regularly. Your veterinarian may recommend a Schirmer Tear Test to confirm the diagnosis and determine the severity of the condition if dry eye is suspected. Scratches/Ulcerations can be painful to a pet and cause loss of vision if left untreated or treated with the wrong medications. It is extremely important that a veterinarian confirm the presence of a scratch or ulcer before starting any eye medication. 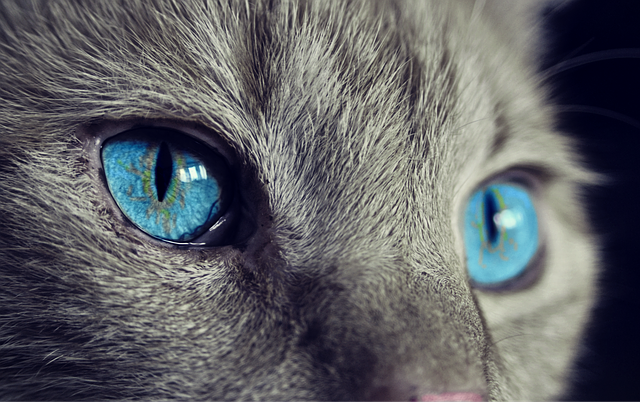 Your veterinarian may recommend an Eye Stain Test to confirm the presence or absence of a scratch or ulcer before prescribing medication for your pet’s eyes. Glaucoma is a condition that caused increased pressure in the eye. Left untreated, it can cause permanent damage and blindness!! If your veterinarian suspects your pet has glaucoma, they may recommend an intraocular pressure (IOP) exam to test the pressures of the eyes.